to create a real world training curriculum for musicians and artists at every level. PCG Nashville (www.pcgnashville.com) in 2008, industry veteran Bernard Porter has changed the lives and fortunes of hundreds of established, new and up-and-coming musicians and artists of all genres. Set to launch in November 2015, the platform will allow millions of artists around the world to train at their own pace with many of the industry’s most accomplished instructors and coaches. Aspiring artists will be able to work with instructors who Porter says have guided “the biggest stars on the planet;” learn insider secrets from music professionals and strengthen the skills needed to succeed in talent competitions; and gain the edge needed to promote themselves as artists and thrive in today’s increasingly competitive industry. 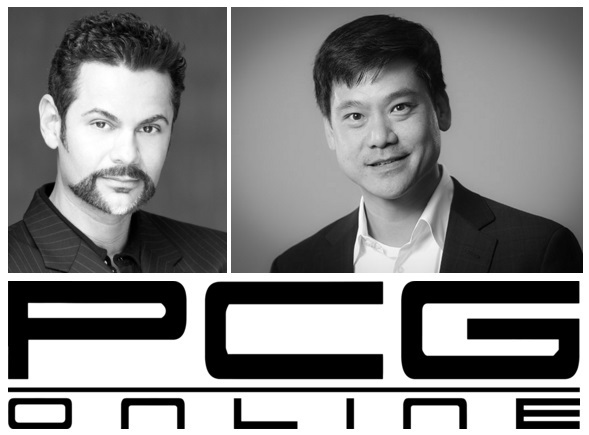 PCG Online’s initial curriculum – known as the PCG Essentials Line – includes multiple on-demand courses including: Essentials of Songwriting, Essentials of Vocal Performance and Essentials of Auditioning. Additional courses will be launched soon including: Essentials of Live Performance, Essentials of Music Theory, Essentials of the Music Business and others in two unique realms that are generally overlooked in regular school curricula: Essentials of Authenticity and Essentials of Parenting an Artist. More advanced courses are currently being developed and will comprise the Masters Line of courses. The PCG Online website also includes a five minute free introductory video that offers a sample of the kind of high quality instruction students can look forward to. Upon meeting Liang via a mutual friend who is an investment professional, Porter knew he had found the perfect partner to help him fulfill his goals. Classroom24-7 is a full service online education company that provides distance learning technologies and services. With a learning management system (LMS) that was voted one of the Top 10 Association LMS Solutions in the world, Classroom24-7’s customized solutions improve the educational experience for learners, enhance their partners’ brands and generate new revenue streams. Specializing in workforce training, continuing education, and professional development, Classroom24-7 works with top universities, hospitals, associations and corporations. In the healthcare education space, Classroom24-7’s technologies have reached doctors, nurses and other healthcare professionals in over 130 countries. Considering the popularity of music and music competition shows throughout the world – and musicians and artists who aspire to launch and sustain successful careers – Liang believes the same geographically expansive approach will be enormously successful for PCG Online. He knew that for the venture to work, they needed three important elements: The first, access to the world’s best content, material that Porter’s developed via the thousands of industry associations he’s cultivated over the past 26 years in the industry. #2 and #3 would fall under the expertise of Classroom24-7: the technological infrastructure that could deliver high quality programs on a massive scale; and powerful marketing, recruitment and retention services to ensure the word gets out, people are compelled to sign up for courses and return frequently for ongoing education. As part of its initial online marketing effort, PCG Online’s first major partnership is with the indie artist hub ReverbNation.